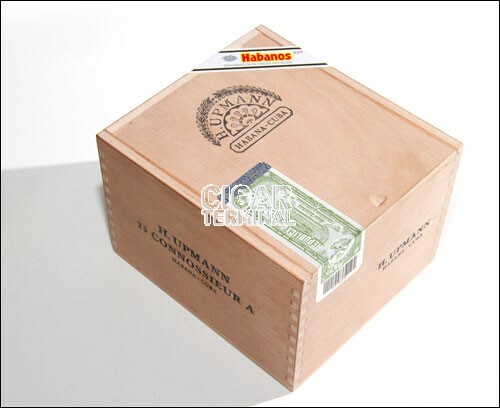 The H.Upmann Connoisseur A is a medium Genios, a La Casa Del Habano exclusivity, 5.5” (140mm) long, of 52 ring gauge, and comes in a 25 cigars box. The H.Upmann Connoisseur A definitely lives up to its name, it is a cigar that appeals to aficionados of complex cigars. • Rich cigar, with plenty of sweet flavors: chocolate, coffee, and cedar. • Smooth and creamy medium-full bodied cigar that is never too harsh. This cigar is simply one of the best Habanos for those who prefer sweeter smokes. This is a beautiful looking cigar; its construction seems very solid. The wrapper has a nice and uniform medium-brown tone, without any visible veins. The seams are also almost invisible, the double cap is excellent and the cigar feels firm from the head to the foot, with just the right amount of give. 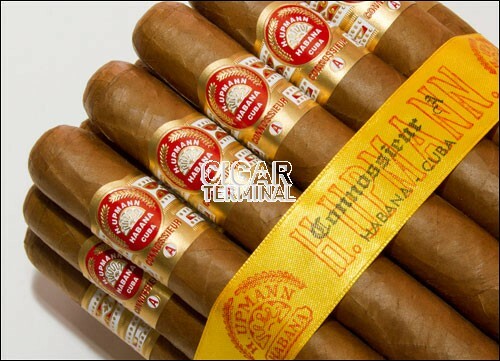 The H.Upmann Connoisseur A sports a massive and specially designed band, a La Casa Del Habanos exclusivity. At cold, the wrapper smells of light hay and barnyard mixed with some strong tobacco with some hints of leather and sweetness. Once the cap has been cut, it reveals a good draw, with some leather flavors, some sweetness on the lips and some fruity taste. Once lit, the cigar smokes incredibly good, typical Cuban flavors reach the palate, such as rich tobacco, leather and some earthy and sweeter notes. The cigar is very smooth, without any spiciness or any harshness. The burn line is even from the get-go and the ashes are holding up nicely, up to an inch and half. The burn does not require any attention throughout. 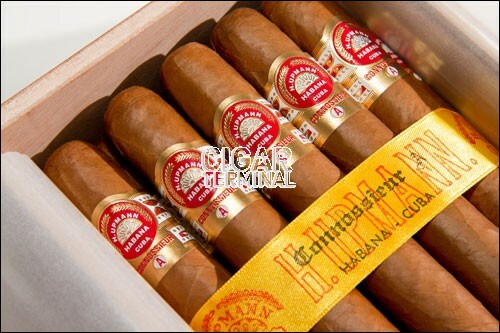 The H.Upmann Connoisseur A generates lots of thick and creamy smoke. The cream is really what defines the first third of the cigar, it is smooth, somewhat sweet with subtle caramel notes. The flavor mix is beautiful, with some semi-sweet cedar, intense creamy chocolate flavors, some hints of coffee and of pepper. On the finish, the cedar and the sweetness recede, while some stone fruits notes that lingers on the tongue. There is a lot of complexity in terms of flavors, everything works so well together. However, this is a cigar for people who prefer sweeter tastes; there is almost no bitterness, and just a hint of earthiness if any. In the middle third, the creaminess increases again, if it was possible. The flavor profile remains similar to the one of the first third, with the addition of some darker notes: earth, leather and pepper are noticeable. There are also notes of toastiness and of sweet spices that come forward, light cinnamon. It really smokes beautifully, releasing tons of smoke and it tastes amazing, like a limited edition cigar. At this point, the H.Upmann Connoisseur A is almost full bodied smoke. In the final third, the cream is still around, while receding somehow, the chocolaty flavors evolves into some more coffee flavor, the leather is a bit more noticeable while the spices also ramp-up a bit. The stone fruit notes (mainly apricot) are also more pronounced on the draw and on the finish. The body of the cigar remains in the medium-full range until the end. In summary, this is a superb cigar that smokes slowly and that packs delicious and complex flavors.